Elementary Faith Formation is for students in pre-kindergarten (must be age 4 and potty trained) through 6th grade. The fee for Faith Formation is $40 for early bird registration and $45 per child if registered after September 1. This covers all materials and a book for each child, including online access to parent and child resources. Elementary Faith Formation introduces the Catholic faith with relevancy to children. Grades Pre-K, Kindergarten, 1, 3, and 5 use the Allelu! and Alive in Christ curriculums, published by Our Sunday Visitor. Allelu! and Alive in Christ invite children to hear God’s invitation to a personal relationship through his Word, helps them discover and learn the Church’s teaching in precise theological language, and teaches them how to live as Catholic disciples. Our 2nd grade classes use Jesus Our Life, published by Ignatius Press. The lessons in Jesus Our Life incorporate the four principal components of catechesis: the Creed, the Commandments, the Sacraments and Liturgy, Prayer and Scripture. The 6th grade class uses a combination of different studies from Ascension Press - Altaration, Encounter, and Theology of the Body. These are supplemented with lessons that correspond with the Liturgical Year, specifically for Advent and Lent. All students entering 2nd grade who are planning on receiving the Sacraments of Reconciliation and First Eucharist this year must have had one full year of faith formation before they begin their 2nd grade year. 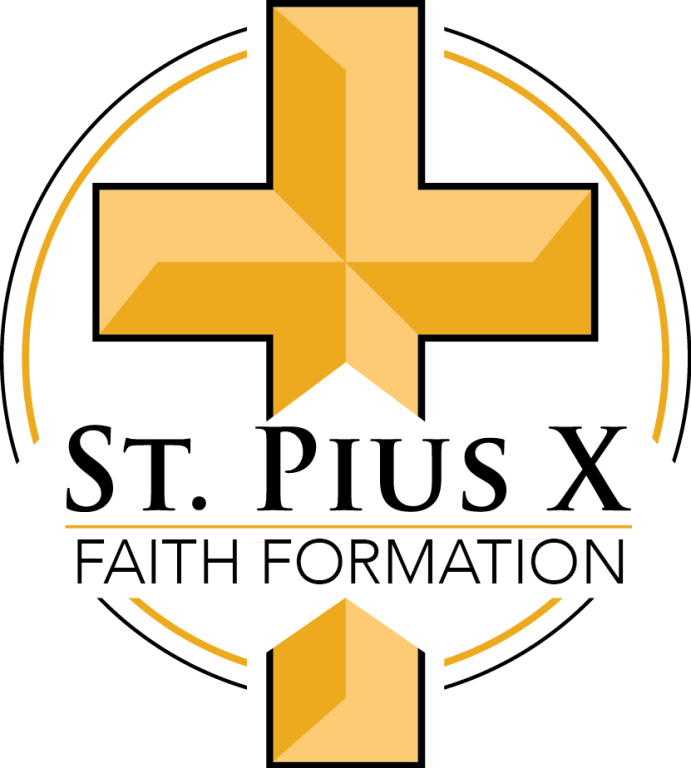 If your child is entering 2nd grade and did not attend faith formation classes in 1st grade, please contact the parish office. 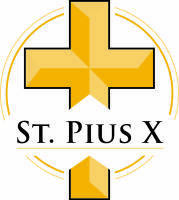 St Pius X offers faith formation and sacramental preparation for children with intellectual and developmental disabilities. Each child is assigned a peer mentor who supports their participation in class. If you have a family member who you would like to enroll please contact the parish office. We are always in need of peer mentors who will offer support to their assigned student. If you are in high school and feel called to serve in this ministry, please contact the parish office. If you have questions, please contact Lindsay Kohl, Director of Formational Ministries, at 336-272-4681 or lkohl@stpiusxnc.com. Elementary Faith Formation will be held on the following Sunday mornings. A full schedule will be handed out on the first weekend of classes.